Please contact us with the contact form to report difficulties, strange behaviors or persistent problems, and quote the program name or the number 6334 . This is the download page for MidiIllustrator - Midi Notation Software: Notate, print, practice & play free Midi sheet music. 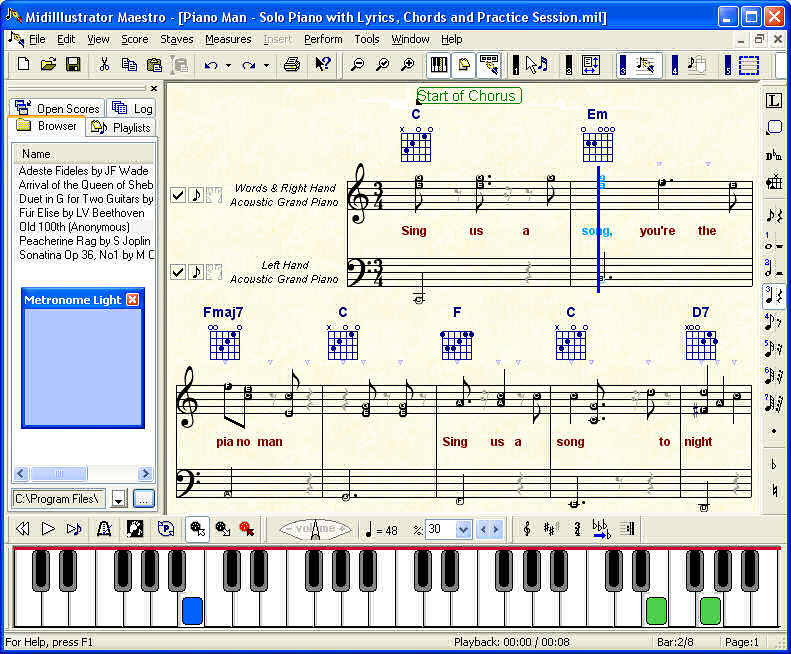 Rallentando Software's MidiIllustrator brings your favorite songs and musical works to life. Convert 1000s of Midi & Karaoke files freely available on the World Wide Web into dynamic, interactice scores & fake books.